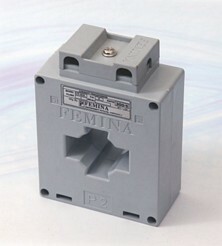 A current transformer is used for measurement of alternating electric currents. 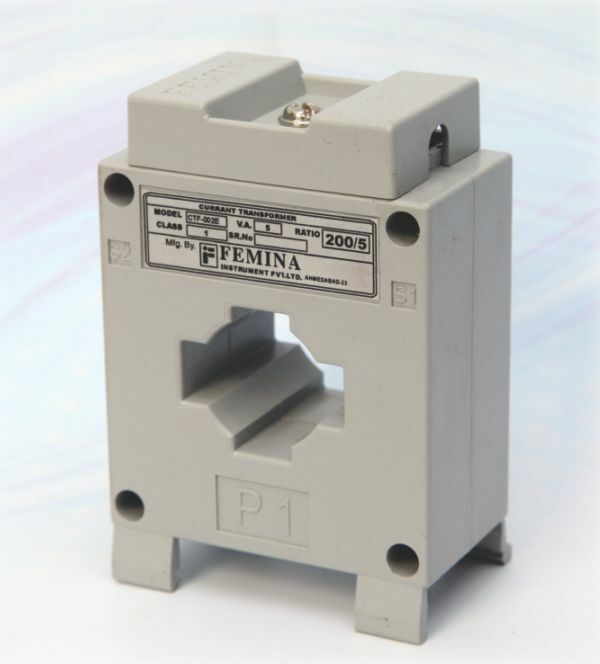 A current transformer has a primary winding, a magnetic core and a secondary winding. 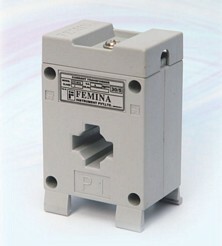 The alternating current flowing in the primary produces an alternating magnetic field in the core, which then induces an alternating current in the secondary winding circuit. An essential objective of current transformer design is to ensure that the primary and secondary circuits are efficiently coupled, so that the secondary current bears an accurate relationship to the primary current. 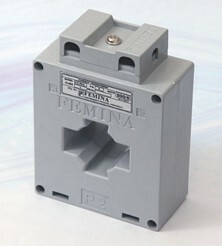 Encapinsulation Enclosure(ABS/PC) , 10/5 to 200/5 in ABS molded with Chanel mounting. And 300/5 to 500/5 with bus bar supported . And in all kind of automations filled. 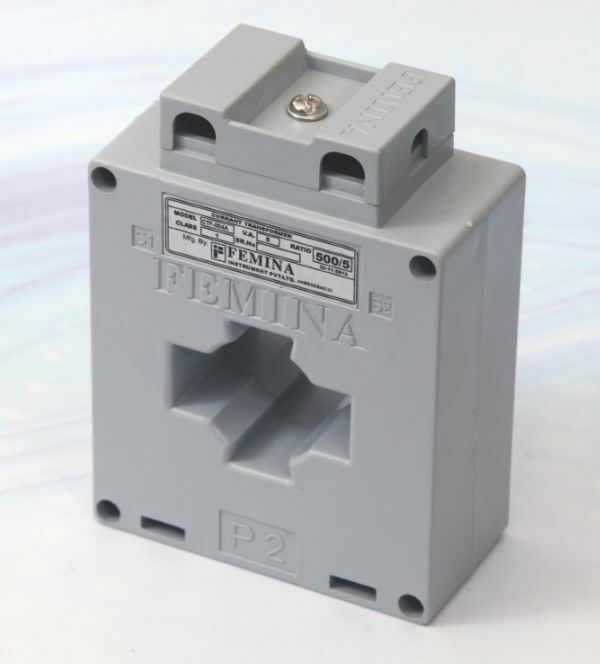 Femina manufactures Current Transformers in an encompassing range of Measuring, Protection Earth Leakage & Core Balance type Precise also manufactures Current Transformers for Air Circuit Breakers as well as for CT operated Relays.